The pacifist gunman joins the Kotobukiya lineup in a powerful presentation featuring a sculpt that was produced from start to finish under the supervision of Yasuhiro Nightow, creator of Trigun! 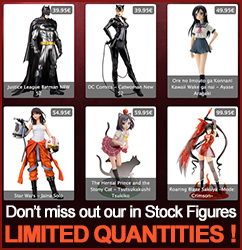 ・Includes the black cat Kuroneko-sama. ・Vash stands nearly 19 cm tall (1/8 scale).